When we combat feelings of frustration by eating something sweet, our blood sugar levels spike and we experience a momentary flash of feeling good. We can thank serotonin, the so-called happy hormone, for the hit as it is released in the process. However, things do not always run smoothly and apparently, sugar elicits the exact opposite response for some people: Consuming too much sugar could increase one’s risk of developing depression. This is according to the results of a new study conducted by University College London that was published in Nature magazine. 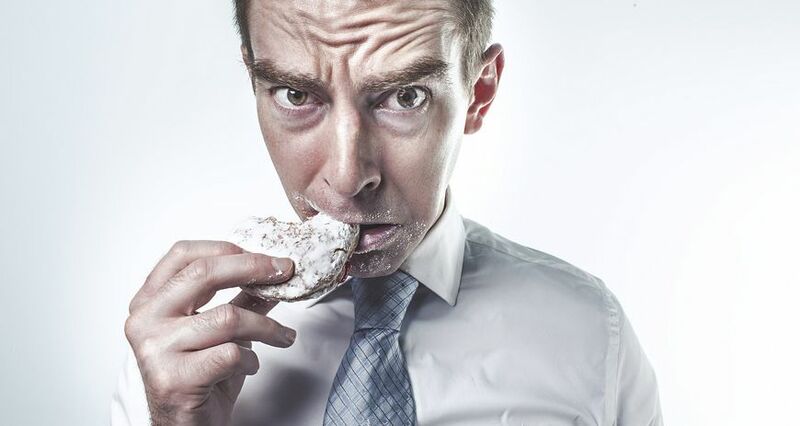 According to the study, men who consume a high amount of sugar (more than 67 grams per day) have a 23 percent higher risk of suffering from depression in the subsequent five years than men who consume lower amounts (less than 39.5 grams daily). The study, which was directed by the German nutritional scientist and epidemiologist Anika Knüppel, was based on the analysis of data collected from 8,000 British men about their health, lifestyle, and nutritional habits since the 1980s. This data was compared to that of – only – 2,000 women, from which the researchers were unable to distinguish a similar trend. The data was adjusted to control for the possibility that participants only ate high amounts of sugar because they were already depressed. The study showed in all monitored cases that the depression developed only after years of increased sugar consumption. It is certainly not new information that excessive sugar intake presents health risks. However, for a long time, the link between sugar and psychological illness was hardly looked at, if at all. “We are talking about an interesting long-term study with a well characterized cohort,” said biologist and adiposity researcher Paul Pfluger, who is taking a critical look at the London report. Pfluger leads a research unit on the neurobiology of diabetes at the Helmholtz Centre in Munich. The British study is not about diabetes at first sight, but rather looks generally at sugar in our diets. However, “a high level of sugar in our diets leads to adiposity, or pathological obesity. In turn, adiposity is a risk factor for type II diabetes. And we know that there is a vicious cycle between diabetes and depression, especially when it comes to type II,” said Pfluger. Anika Knüppel and her colleagues admit that countless questions remain open. Paul Pfluger affirmed that since Knüppel’s research is an epidemiological study, a causal relationship between sugar consumption and depression could not be explicitly proven. This is largely due to the many factors at play that were not addressed in the nutritional habits and cases of illness reported in the study. Thus, the results must now be confirmed in comprehensive biological testing. Pfluger argues that tests on animal subjects or even humans – with the help of imaging technology – could reveal much more. “We have to look at what’s happening in specific brain regions of those people who consume sugar in high doses.” For instance, the effects of sugar intake have already been examined in several studies on the effectiveness of antidepressants. What doctors consider to be an important point of reference in regards to selecting an appropriate personalized treatment plan for patients dealing with depression could also be the basis for follow-up studies to the London research. “Of course, this would be very time and cost intensive since a large subject group would have to be tested,” said Pfluger.